Dermal fillers are made up of a specially formulated type of hyaluronic acid that sits naturally under your skin. It is a biodegradable gel that is easily injected into troublesome areas. This provides hydration, structure and volume, smoothing out the lines and wrinkles resulting in a younger, fresher, rejuvenated appearance. 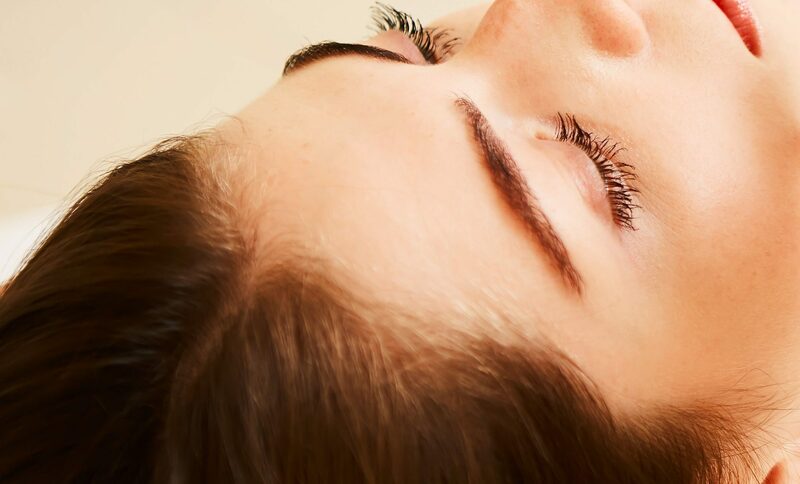 VEGA Clinic provides Dermal Fillers non-surgical cosmetic treatments to help diminish facial lines and restore volume and fullness in the face. Dermal fillers are a range of products that fill depleted facial features and help stimulate collagen growth. As we age, our faces naturally lose subcutaneous fat. The facial muscles are then working closer to the skin surface, so smile lines and crow’s feet become more apparent. Our facial skin also stretches, adding to this loss of facial volume. Other factors that affect the facial skin include sun exposure, heredity, and lifestyle. What is the difference between Botox® and filler? Dermal fillers are used to plump up the skin by adding volume. They may be used to fill in wrinkles caused by sagging skin, to restore volume lost to the ageing process, or to enhance areas of the face such as the lips. Muscle relaxants such as Botox® are used to treat wrinkles and lines caused by repeated muscle movement, such as crow’s feet and forehead creases. They work by temporarily weakening the underlying muscles. Dermal fillers have been used successfully to treat most areas of the face. These treatments are appropriate for facial enhancement, filling in lines, wrinkles, and depressions. Common treatment areas include marionette lines, nasolabial folds, cheeks, lips, and smile lines. What is the ideal age to start? Many patients begin receiving injections of dermal fillers as soon as they start seeing signs of wrinkles. Others wait until their wrinkles are more substantial before seeking treatment. Many patients undergo decades of repeated treatments with no ill effects. While most patients begin seeking treatment in their early 30s or 40s, it can be performed safely on clients who are both younger and older. Some patients in their 20’s have dermal fillers. The Body Detox Clinic does not treat anyone under the age of 18years. We do not treat anyone under the age of 18 years. Can I have Dermal Fillers if I am pregnant? No, for safety reasons you cannot have dermal fillers injected if you are pregnant or breastfeeding. Is the treatment for men and women? Yes, dermal filler injections work well on both men and women. The products we use have a local anaesthetic blended into the injected material itself. The injection process only takes a matter of minutes and uses a very thin needle. Even sensitive areas such as the lips can be treated with minimal to no discomfort. How long will the injecting take? Depending on the area to be treated, the injection process itself takes between 10 -20 minutes. You can expect to spend half an hour or less in the clinic. You will see results immediately and will continue to improve over the following weeks. Can I still make expressions? At VEGA Clinic our specialised Doctor is highly skilled at using the right amount of product. You will not look as though you’ve had “work done” and will still be able to move your facial muscles. Will people know I’ve had the treatment? Our aim is to create a natural-looking enhancement to your appearance. Often, people who know you well will remark that you look well rested or refreshed. Our experienced Doctor can avoid the “overdone”, or unnatural look that can occur when too much product is injected. Instead, our clients find that the treatment leaves them looking subtly rejuvenated. Do results vary from person to person? Yes, individual results can vary. Choosing a clinic that uses experienced and fully qualified practitioners is very important. We gain optimum results for each patient through careful evaluation, correct product choice, and discussing realistic goals. Choosing an established clinic with highly qualified experienced practitioners is key to achieving the best results possible. No, the result is temporary, and can last between 3 months and a year, depending on the product used, the facial area treated, and your body’s ability to absorb the injected material. Many patients undergo regular touch-up injections to maintain their rejuvenated appearance. It would be unlikely as we only inject small amounts of product in at a time and let you keep having a look. You are involved in the process throughout and your input is very important. Remember the dermal filler is not permanent and will gradually dissolve. However, if you really didn’t like it we can dissolve the product for you. This depends both on the type of dermal filler used, the area treated and the individual patient. Dermal fillers can last from 3 months to a year before the body has absorbed the injected material. Over time, you will notice the results of the treatment begin to fade, gradually returning your appearance to its pre-treatment state. Will it last longer if I have more product injected? Overuse of dermal filler can increase side effects and lead to an unnatural looking appearance. Because most patients are unaware of how much product should be used to achieve their desired aesthetic result, it is the practitioner’s responsibility to recommend an amount of product that will create subtle yet noticeable results. Our Doctor at the VEGA Clinic is highly trained and experienced. You can trust him to achieve optimal results by using the right amount of product to achieve your desired look. What happens when results wear off? The results of dermal filler injections generally last 3-12 months, depending on the product used and the area treated. As its effects wear off, the skin will return to its natural, pre-treatment state. If you decide against further injections, your skin will be left in the same condition it was before treatment; it will not be any more wrinkled than it was before treatment. Some products stimulate new collagen growth, which may lead to long-lasting improvements in skin volume, even after the injected dermal filler has been absorbed by the body. Many patients return for further treatment when they see the results of the initial treatment wearing off. This can be anywhere from 3 to 12 months, depending on the area treated, the dermal filler used and other factors. If you wish to further enhance your appearance, you may wish to undergo additional treatment sooner. Your practitioner can help you decide whether you might benefit from additional injections. All the dermal fillers used at the VEGA Clinic are non-permanent, this is important because even when you love the results, your face will change as you age, requiring a different treatment strategy. The body will absorb the fillers over time, although fillers used at the clinic can be reversed very quickly with the injection of an “antidote” like product. Will it prevent new wrinkles forming? In addition to smoothing existing wrinkles, dermal filler injections have some ability to prevent new wrinkles from forming. Many dermal filler products prompt the body to produce new collagen, which remains in the skin after the dermal filler itself is absorbed, by the body, leading to long-term wrinkle reduction. Immediately following treatment, you may experience minor redness, swelling, and bruising. The treated area may also feel tender. These effects usually last 2-3 days and do not prevent patients from returning to work and other normal activities immediately after leaving the clinic. Who should carry out the treatment? For a safe treatment and optimum results, only a Nurse, Doctor or Dentist who has been fully trained in aesthetic treatments should administer cosmetic injections. At VEGA Clinic our Doctor is a highly trained, experienced advanced aesthetic practitioner. Dermal fillers may be right for you if you are looking to fill in wrinkles caused by loss of facial volume and elasticity. Dermal fillers can restore this lost volume, resulting in smoother, younger-looking skin. 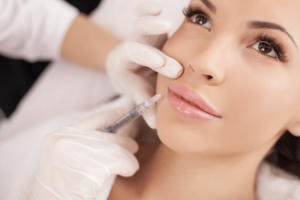 These injections can also be used to plump up facial areas such as the lips, enhancing their appearance. This treatment is not effective on wrinkles caused by muscle movement. Muscle relaxant injections are a more appropriate choice for treating such lines. Dermal filler injections are appropriate for most adults who are in good general health. If you are looking for a non-surgical cosmetic treatment that will smooth out wrinkles and achieve younger looking skin, Anti-wrinkle injections could be for you.